It was another beautiful day in Wisconsin on September 10, 2011. The temperature was warm, about 85 degrees but for Eric and Nikki things went by like a fresh cool breeze. 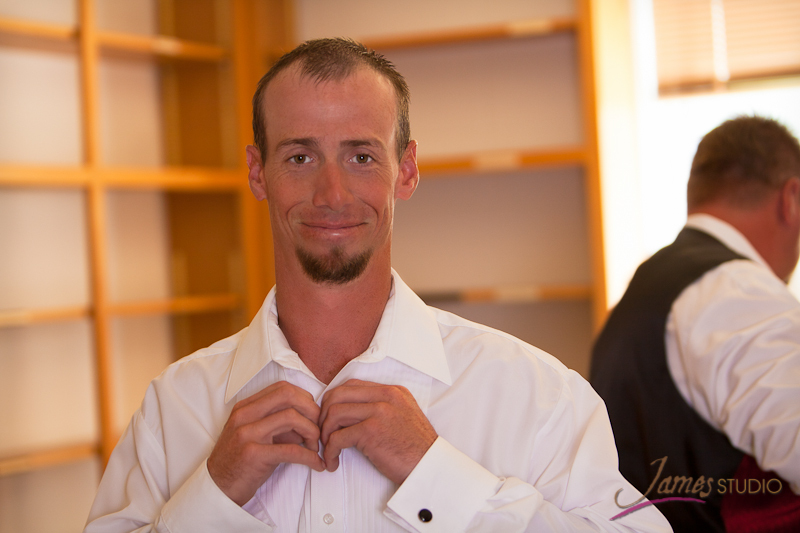 This picture below shows Eric getting his shirt buttoned with his brother, the best man, in the background. Nikki’s beautiful dress was photographed in a tree. 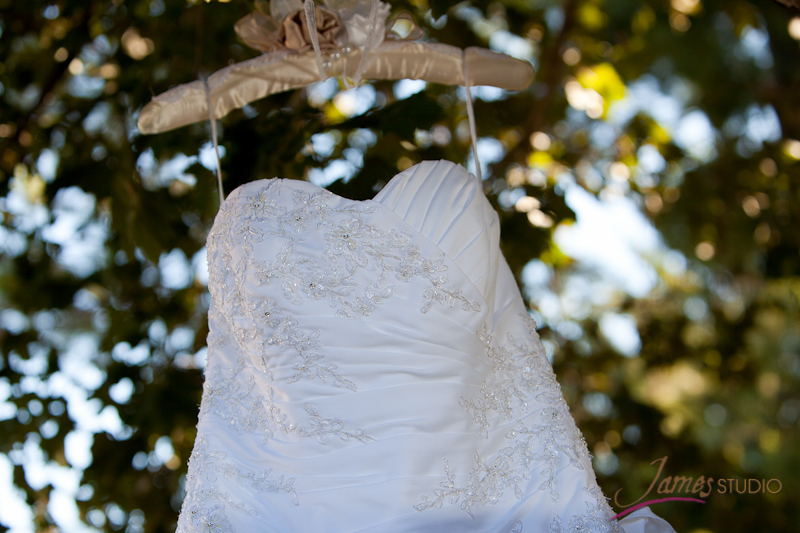 I used an electrical wire slung around a tree limb to provide the right height for the dress. In this photo not only do your see a nice close up of the dress’s intricate design you can also see the James Studio custom hanger. It makes sense to have a beautiful hanger to help show off the dress. Cheap hangers look out of place and just don’t do justice for photographing of the dress. Nikki looks radiant in her dress. 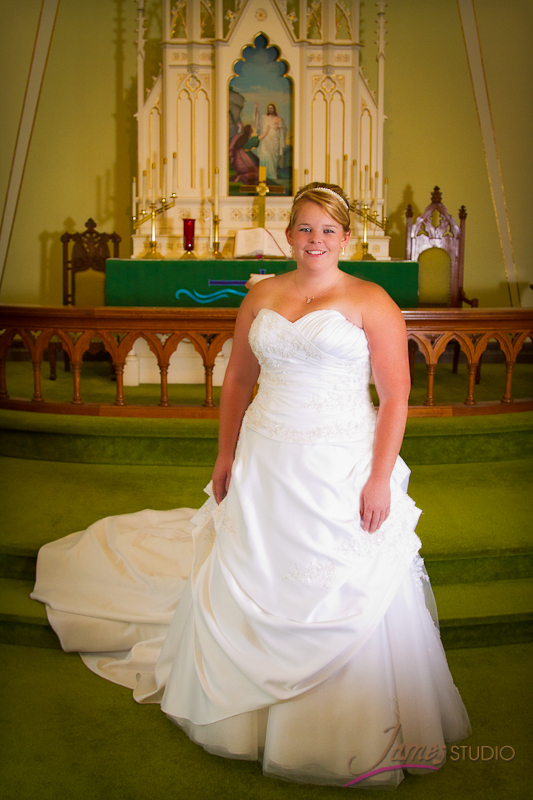 She was a happy bride and easy to work with. 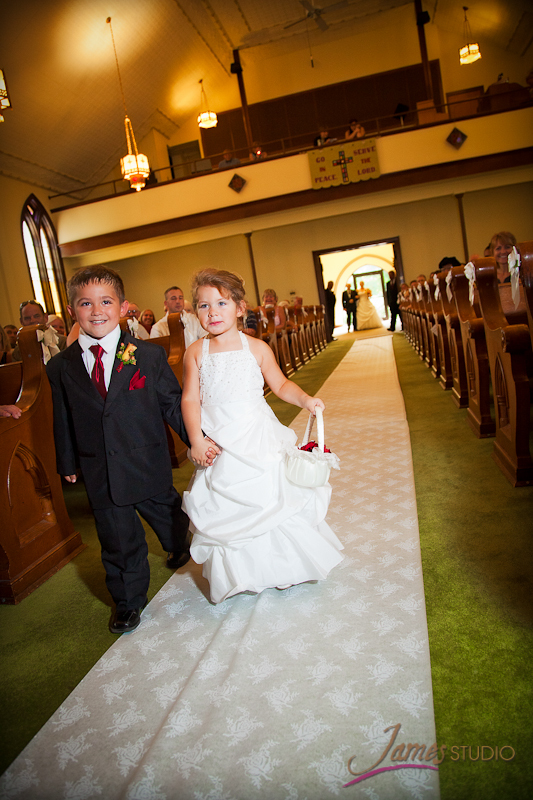 They elected to do the first look which we did in the sanctuary. Shea, my assistant, focused on Eric as he was coming in while I focused on Nikki and her reactions. 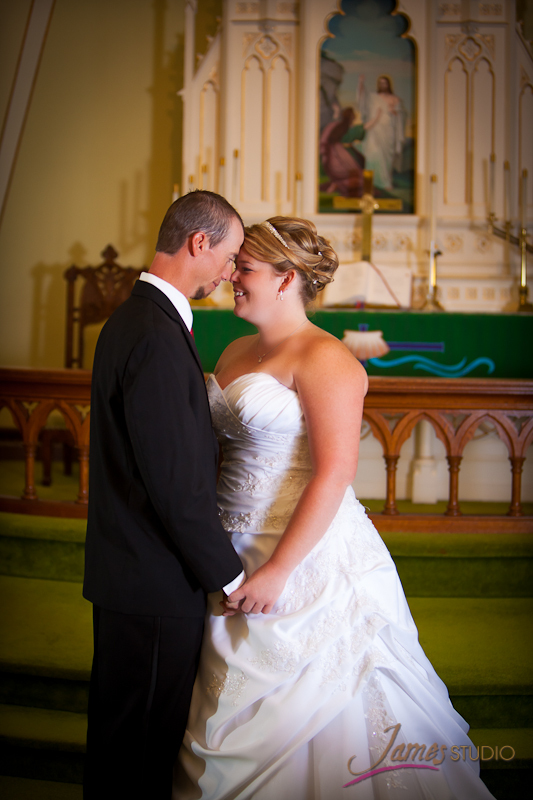 Nikki and Eric were really moved emotionally as they focused on each other for the first time in the day. After they regained composer I had them get together for some staged romantic shots. I appreciate good detail shots. Holding hands, hugs and kisses. The closeups tell a story too. I love the color blue and I love a blue sky that matches blue eyes and happy smiles. 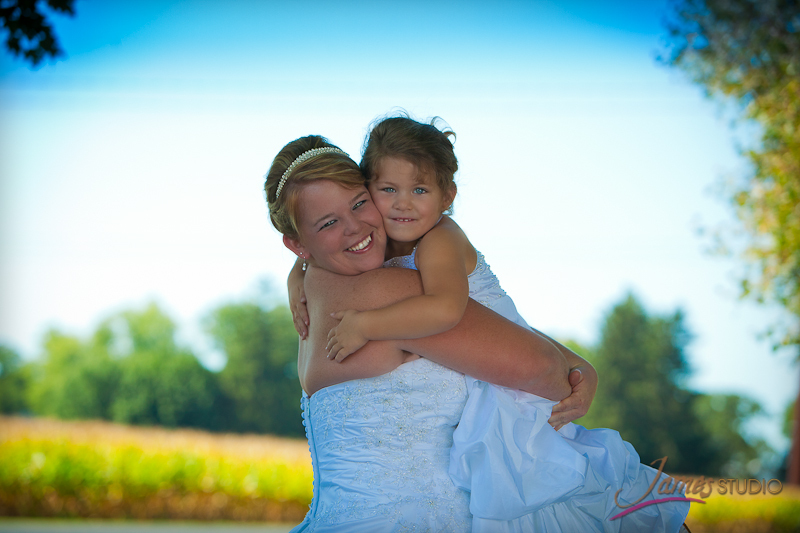 Nikki is with her flower girl in the photo. That is a corn field in the background. The bridesmaids are showing some leg. Or is it tattoos they are showing off? 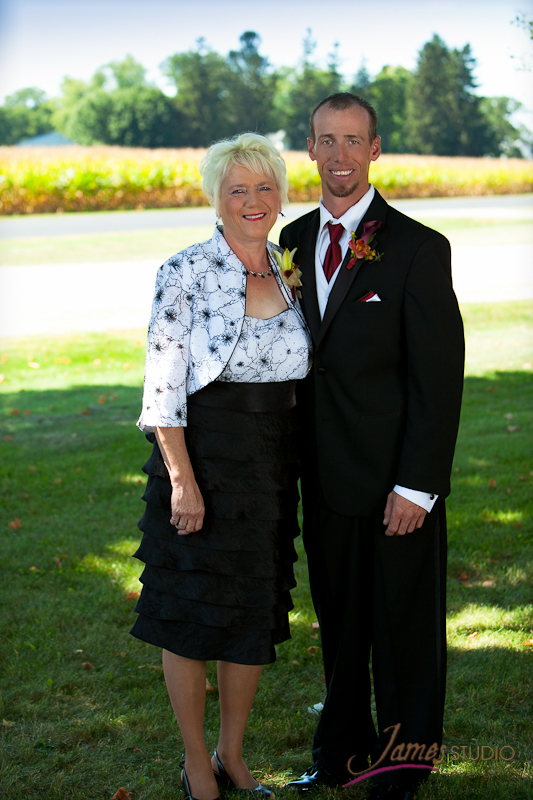 Below is a picture of Eric with his mother. 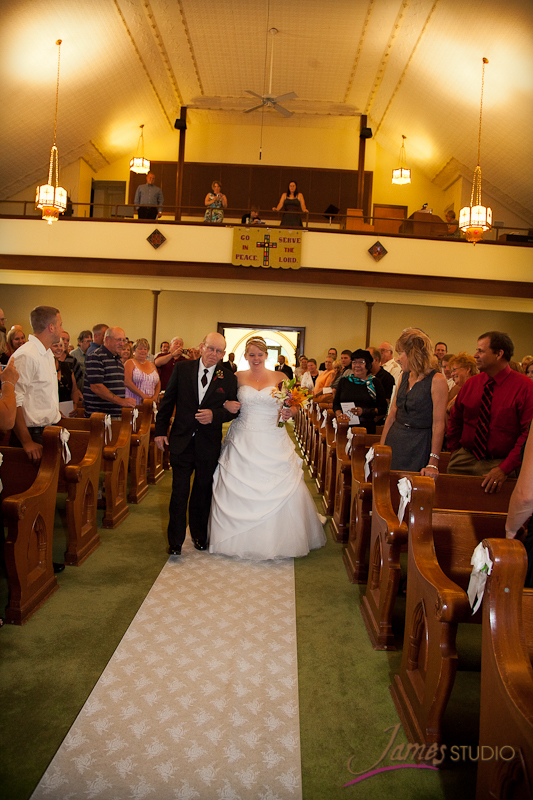 With friends and family looking on, Nikki was beautiful as she came down the aisle with her father. 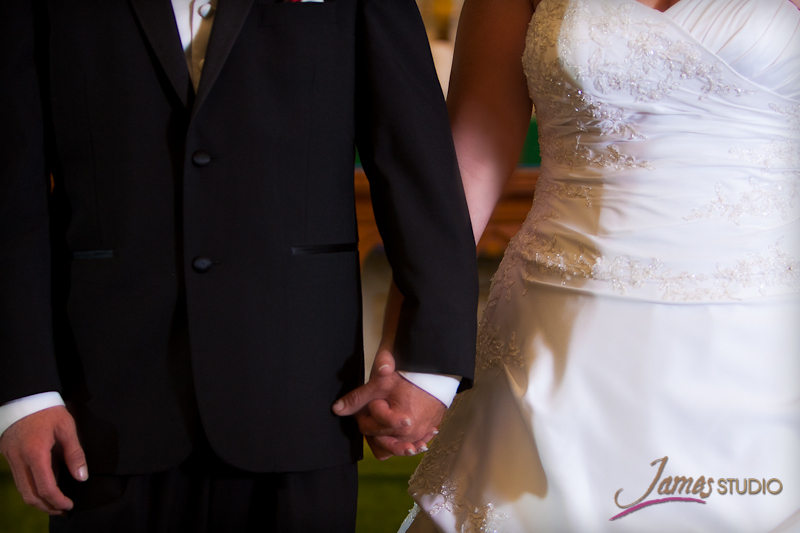 If you are looking for a photographer for your wedding give Jim a call at 233-5556.